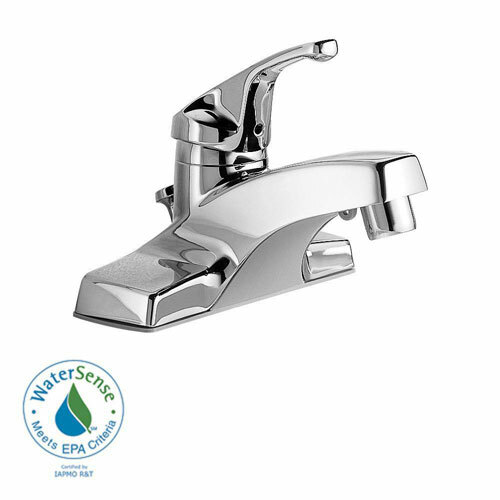 The American Standard Colony 4-inch Single-Handle Low-Arc Bathroom Faucet in Chrome boasts a brass design in dazzling chrome for long-lasting quality. Equipped with ceramic disk valving, the faucet helps eliminate dripping for an efficient design. The single-handle, ADA-compliant fixture operates smoothly and rises to meet your needs.